If you watched the Dreamhack Hearthstone tournament via Twitch, you might have caught a glimpse of the abyss. According to a Twitch moderator, the chat channel was filled with racist, sexist and generally awful comments, and the worst of it could have been prevented. Since we’re talking about some of the worst Hearthstone dicks, why not check out our list of the best Hearthstone decks. Carling “Toastthebadger” Filewich is a long-time Hearthstone community member who was tasked, along with a handful of other mods, to put out fires in the Twitch chat during the tournament. According to Filewich, despite the amount of effort that goes into the organisation of every other aspect of the tournaments, very little thought goes into chat moderation. In this case, even Moobot – a chat bot programmed to ban certain words – was only set up to ban a single thing: the Trihard emote. The banning of this apparently caused even more drama and the use of words that probably should have been banned instead. “Dreamhack failed at chat moderation for the Hearthstone channel, and the moderators (me included) failed Dreamhack,” says Filewich. “Moderators set the tone of the chat, so having the right people is critical. Why wouldn’t you screen your moderators like you screen your casters? If you logged in at the right time over the weekend, you would have seen a moderator joining in on the racist spam and offering to unban anyone that had been permanently banned from the channel for horribly racist messages. “Tournament organisers should consider chat moderation an important part of the broadcast and plan ahead for it. A large event with tens of thousands of viewers likely won’t allow for a chat filled with intelligent discourse, but what happened was disgusting and should have never been allowed to happen. An experienced team would have helped with that. 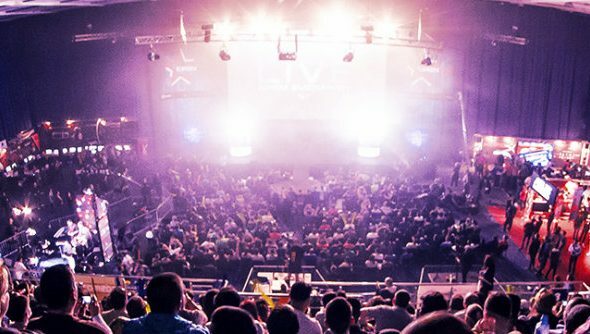 “I’m not faulting Dreamhack for what happened in Twitch chat during this event. Ultimately the blame is on the people that were spewing hatred with messages that I can’t even bring myself to say out loud. But the Dreamhack team was not prepared. They didn’t have enough moderators, they didn’t have the right ones, and they didn’t fully use the tools available to them.